If you’re reading this article, you’re probably in one of two groups: you sell used goods on sites like eBay and Craigslist every once in a while for extra spending cash OR you sell self-made goods every day as a side job to boost your income. In both cases, a portion of the money you earn needs to be declared for income tax, especially if you’re in the latter group—but even one-off sales may count. Not reporting sales could lead to an IRS audit for tax fraud. Here’s a crash course on when you need to pay taxes for online sales and how to go about it. This post was written with US tax laws in mind and may not apply elsewhere. Which Sales Count Toward Taxes? The general rule of thumb is that if you made ANY profit on a sale, then it must be reported as income. 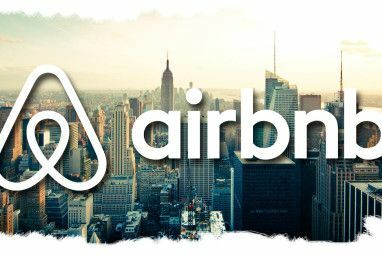 Profit is defined as the difference between what you paid to acquire something, any loss in value due to depreciation, and how much you sold it for. For example, if you purchased a tablet or smartphone for $200 and sold it a week later for $250, then you’ve made a profit of $50. However, if you bought a tablet or smartphone for $200 a few years ago and sold it just now for $100, then there’s no profit. If you’re selling things that you’ve owned for a while, such as a comic book collection 12 Tips to Successfully Selling Your Comic Book Collection 12 Tips to Successfully Selling Your Comic Book Collection Where should you sell your comics? Ensure you get the best price? And find a good home for them? Here are some tips for successfully selling your comic collection. Read More , then there’s likely no profit involved and you’re fine. This is akin to holding a garage sale, except online. If you’re selling something you’ve produced, such as hand-made crafts and artwork 6 Ways to Sell Your Crafts Online and Make Money 6 Ways to Sell Your Crafts Online and Make Money Want to sell your handmade crafts online? Etsy should not be your first choice and here's why, along with several alternative sites that might suit you better. Read More , then it’s reportable income. 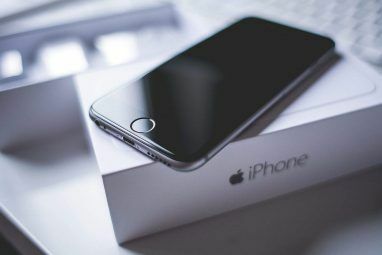 If you’re buying and reselling online, such as gadgets on Craigslist How to Safely and Profitably Sell Used Gadgets on Craigslist How to Safely and Profitably Sell Used Gadgets on Craigslist Selling used gadgets on Craigslist can be a scary proposition, both for your safety and your money-making prospects, but these tips will help you make the most of it. Read More , then it’s reportable income. If you can answer “yes” to any of those questions, then you are most likely conducting a business in the eyes of the IRS. The more questions you can answer “yes” to, the more likely it is that you’re running a business, at least in terms of taxes. The distinction between business and hobby is important because some tax actions, such as deducting business expenses, are only available to one and not the other. You may also need to pay sales tax on items you sell online. Unfortunately, sales tax is far more complicated than income tax, and it would be impossible to cover it all in one post. Refer to this guide to internet sales tax in all US states. And to be clear, even though the title of this article mentions only eBay and Craigslist, these tax guidelines apply REGARDLESS of where you actually make your sales—whether you’re selling stuff on Amazon or even selling to friends on Facebook How to Sell Stuff on Facebook: The Best Tips for Success How to Sell Stuff on Facebook: The Best Tips for Success Here are all the different ways you can sell items on Facebook, plus some crucial tips for successful selling on Facebook. Read More . The first thing you need to do is keep good records. You should always have access to some kind of transaction report (or, at the very least, a transaction history) and be able to sum up how much you made in sales over any given period of time. You’ll need this information to determine how much you truly owe in taxes—and in the event you’re ever audited by the IRS, these records will save you lots of time, energy, and headache. While 1099 forms are great, you should still keep independent records. And yes, you still owe taxes even if you never receive 1099 forms from eBay, Craigslist, PayPal, or wherever else. It’s your responsibility to track your sales and pay the taxes you owe on those sales. Note: If you’re handling lots of sales and feeling overwhelmed, consider using accounting software for small businesses 5 Ways Xero Can Help With Your Finances 5 Ways Xero Can Help With Your Finances Accounting can be confusing, time-consuming, and (if you have to pay a professional accountant) expensive. Read More . 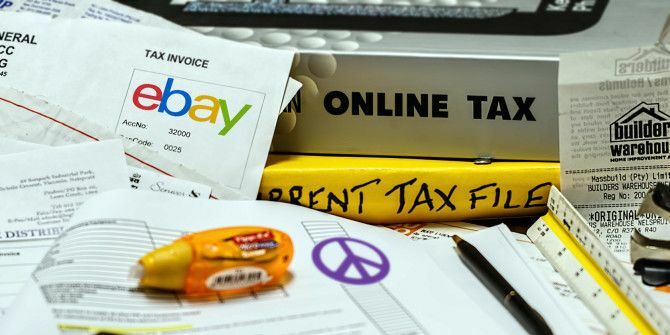 If you’re selling on sites like eBay and Craigslist, then whatever income you generate from those sales will be subjected to two taxes: income tax and self-employment tax. Income tax is a bit tricky because the brackets depend on your filing status and they can change from year to year. Fortunately, you can just use MoneyChimp’s Income Tax Calculator to see what you owe given a certain amount of taxable income. Self-employment tax is more straightforward but comprised of two parts: Social Security and Medicare. In 2019, for the self-employed, the Social Security tax rate is 12.4% on the first $127,200 of self-employed income and the Medicare tax rate is 2.9% on all income. You must pay both income tax and self-employment tax on income earned through self-employed means, including sales made online. For example, if I sold $10,000 worth of goods on eBay in 2019 and filed taxes as Married Jointly, then I would owe $1,240 to Social Security and $290 to Medicare (actually less if you include deductions and exemptions, but you won’t know until your file your tax return). Note: Be sure to check out the IRS’s Self-Employment Tax Center page. A bit overwhelming, isn’t it? That’s why we highly recommend using tax software The 6 Best Free Tax Software to File Your Tax Return This Year The 6 Best Free Tax Software to File Your Tax Return This Year If you're tired of paying to file your taxes, here are the best free tax software for filing your state and federal tax returns. Read More when it comes time to file your tax return. You’ll probably have to pay a bit more for a version that can handle self-employed income, but the savings in time and energy are worth it. Don’t Forget About Quarterly Tax Payments! There’s one more thing to worry about when dealing with self-employed income: you have to make quarterly estimated payments to the IRS. Normally, as an employee working for an employer, a portion of every paycheck gets taken out as a “tax withholding.” These are payments made to the IRS on your behalf over the course of the year, and these withholdings count toward the total tax you’d owe at the end of the year. Self-employed income is subject to the same “over the course of the year” payments, except these payments only need to be made once every quarter and they only need to estimate the tax you owe on the self-employed income you earned during that quarter. If the day falls on a weekend or holiday, then the due date is postponed to the next business day. Visit irs.gov on a secure computer. Under “Reason for Payment,” select Estimated Tax. Under “Apply Payment To,” select 1040ES. Select the tax year and click Continue. Fill out your taxpayer details and click Continue. That’s it! Whatever payments you make in this way will count as a kind of “self-employed withholding” towards the total tax that you owe at the end of the year. Do not skip out on paying quarterly estimated tax, because you will have to pay a penalty on whatever you still owe to the IRS when tax day comes around. This is all admittedly confusing, especially if you’ve never had to deal with self-employed taxes of any kind. However, the point is this: you DO owe taxes on all sales made through sites like eBay and Craigslist with the intention of earning a profit. If this is too much for you to wrap your head around, don’t worry. You aren’t the only one who feels that way, which is why so many people defer their tax preparation to a Certified Public Accountant (CPA). 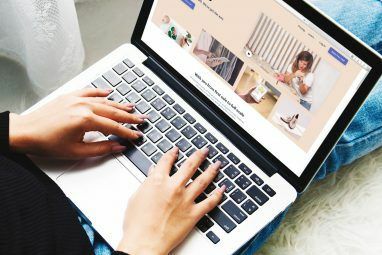 In the meanwhile, check out these tips on how to improve eBay sales 11 Critical Tips on How to Sell More on eBay 11 Critical Tips on How to Sell More on eBay eBay is one of the top online shopping sites. You may be a seasoned seller on eBay, or you may have just started with your eBay seller career, these tips can help boost your profits. Read More and these other tips for making more money on eBay How to Make More Money Selling on eBay How to Make More Money Selling on eBay To maximize your earnings on eBay, you need to take a number of factors into account; we'll walk you through the best way to get the most out of your auctions. Read More . Explore more about: Craigslist, eBay, Make Money Online, Self-Employment, Selling Online, Tax Software. You mention nothing about obtaining a resale tax license or even a business license. Sales tax is charged by a business, not mom and pop who are cleaning out the garage. Whether they sell something for $10 that is valued at $100, according to you they must charge sales tax since the item was a GIFT sixteen years ago and they themselves paid nothing for it. Let's not forget that if you do charge sales tax when reselling your items, what you owe is minus the original sales tax paid on it. But who paid that sales tax, and in what state? I can tell you that states make up their own darn bullsh*t when it comes to them deciding what you owe. Doesn't matter if they're estimates are based on reality or not, you're screwed in proving them wrong simply because it's such a convoluted system and judgement calls actually hold weight. When will states (and Feds) stop making things so complex that the system itself costs money. There is efficiency in simplicity. And taxing things six ways to Sunday because politicians are inept.. well I'm sick of covering their butts, and being forced to pay $700 to an accountant when I still do all the work, just because I want to stay out of the audit pile as a small business.. it's just all stupid bullsh*t. But we the people put up with it. Don't bother doing things legit. They'll make you suffer for it. How about sales tax when you're purchasing products? Is this deductible from your taxes? Yes, it is but you have to keep the receipts as proof. New York has a standard sales tax deduction based on your Adjusted Gross Income. see line 59 on form IT-201. Instructions for filling out line 59 are on page 26 of Instruction Booklet IT-201-1. Federal - see line 6 of Schedule A. There may be some instructions in Publication 17 or there may be a separate Publication for General Sales Tax on the IRS site. In Canada, not 100% sure, but you are also suppose to remit sales tax on items that you buy online and do not charge you the sales tax. Remind me to get around to that some day. Yeah I'm not sure about Canada but some states in the U.S. require sales tax on items sold online if the business operates out of that state, or something like that. Will need to look it up on a state-by-state basis. Thanks for mentioning, Colin.